On October 24, I had the opportunity to visit the fast attack craft Daniolos P-68 (see previous post, Photo Gallery #1) of the Roussen class, the most modern class of surface combatants in service with Hellenic Navy, and the submarine Pontos S-119, the last of the Poseidon class (Type 209/1200). 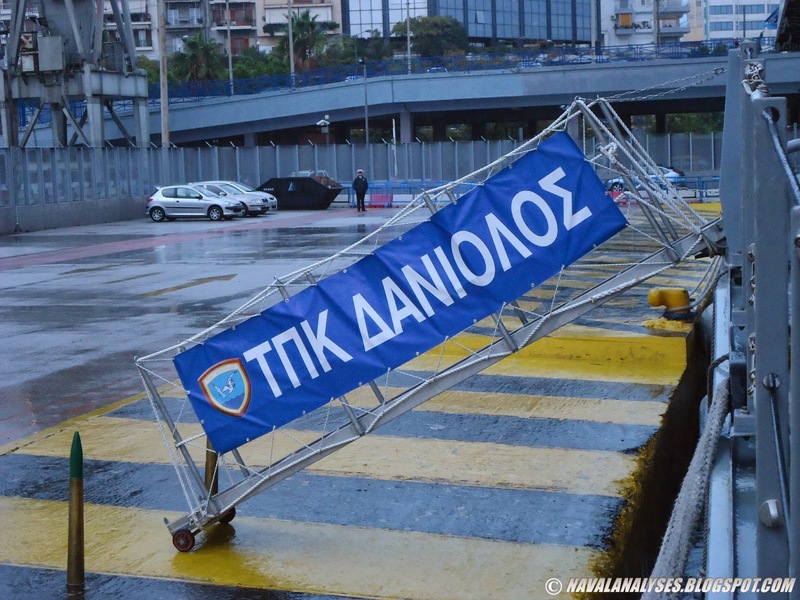 The boats were opened to the public at Piraeus harbor due to the forthcoming celebration of Ohi Day (anniversary of the "No") to commemorate the rejection by Greek Prime Minister Metaxas of the ultimatum made by Italian dictator Mussolini on October 28, 1940 during WWII. As I mentioned in my other post about Daniolos due to the bad weather there was almost no visitors, so the visit was like a "private tour" and I had a plenty of time to discuss with the crews and to take nice photos without people standing in front of the boats, sensors and weapon systems. Again, I would like to thank a lot the officers and the non-commissioned officers, they are real professionals, friendly, ready to explain everything in detail and with patience, they are men who love their boats and their work, they were simply GREAT! Enjoy the photos! The American Civil War was fought from 1861 to 1865 between the United States of America, consisting of the Northern States and California (known as the North or Union), under President Abraham Lincoln and the Confederate States of America, consisting of the Southern States and Texas (known as the South or Confederacy), under President Jefferson Davis. 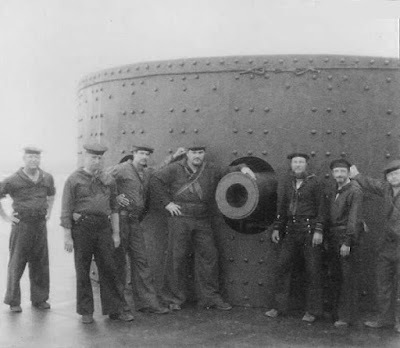 Some of the vessels that are depicted on the images are either unique vessels such as USS Monitor or lead-ships of a class such as USS Passaic while there are different kinds of ironclads such as monitors, gunboats, riverboats, floating batteries screw steamers and others. The Battle of Hampton Roads (March 8–9, 1862) was the first battle between ironclad warships, i.e. the USS Monitor and the CSS Virginia. This naval battle was the most noted and arguably most important naval battle of the American Civil War from the standpoint of the development of navies. Another first during this war, was the loss of the USS Cairo, an ironclad gunboat that sunk by a naval mine, on 12 December 1862 in the Yazoo River. Some very good and rare photos from this war can be seen here, a large collection of photos collected by the Trans-Mississippi Theater Photo Archive. 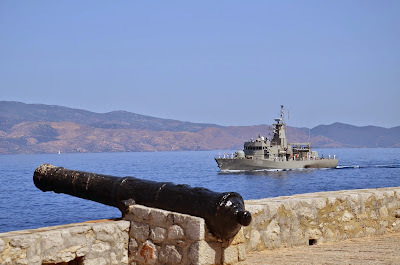 ﻿Machitis class consists of four patrol boats in service with the navy of Greece, the Hellenic Navy. The design is by Hellenic Shipyards thus the origin of designation HSY-56A, an improved design of the previous HSY-55 which is based on the Danish Osprey-55 (both classes will analyzed in a common article in the future). 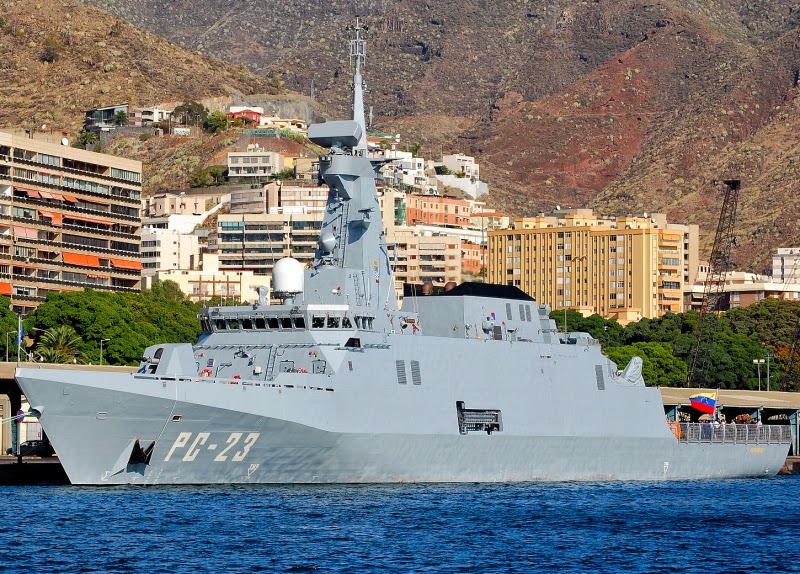 The boats of the class are the most modern patrol vessels of Hellenic Navy and some of the best equipped boats worldwide in this displacement and category, especially in the electronic equipment and the variety of sensors. The ships were built by Hellenic Shipyards and delivered to Hellenic Navy the period 2003-2005. 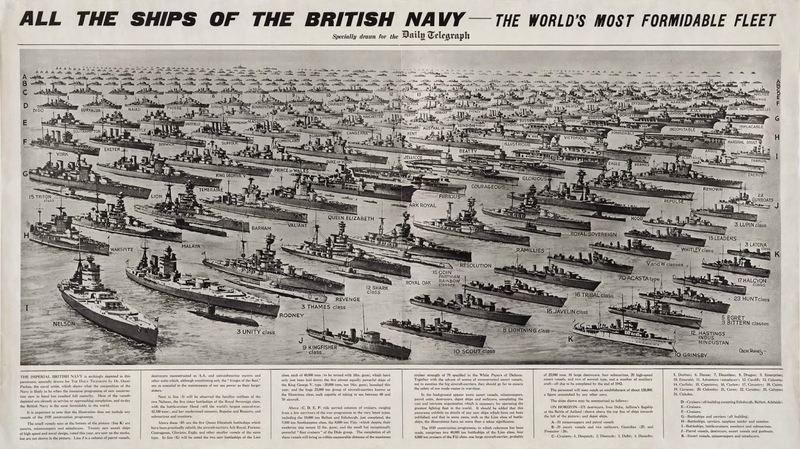 The full displacement of the ships is close to 575tons, the length is approximately 56m, the maximum speed is about 23-24knots while the range is 2,500n.m. with the cruising speed of 15knots. The crew is 36 people (50 people max. according to Hellenic Shipyards) while each ship can carry additionally 21 fully equipped troops; usually Special Forces soldiers. Each vessel carries two Barracuda 7m Rigid Hulled Inflatable Boats (RHIB) that have a maximum speed of 60knots. Moreover, the ships have the capability to deposit mines from the two mine rails they have at the stern and thus to operate as small minelayers. HMS Ambush during sea trials near Scotland. 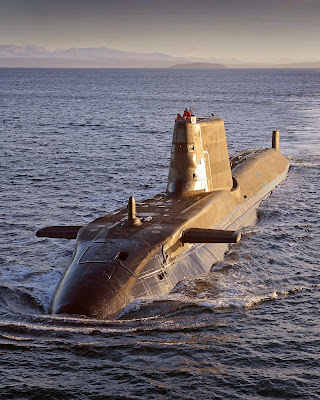 The Astute-class are the largest, most advanced and most powerful attack submarines ever operated by the Royal Navy, combining world leading sensors, design and weaponry in a versatile vessel. The following images depict the compartments and the general characteristics of the boat as well as its most important weapon systems and electronic equipment. The boats of the class are believed to be the world's most powerful nuclear attack submarines. The Sonar 2076 sonar suite has the processing power of 2,000 laptop computers while it has the world’s largest number of hydrophones (13,000! ), providing the Royal Navy with the “biggest ears” of any sonar system in service today. This sonar is so sensitive that one lurking in the Solent would be able to detect a ship leaving New York harbour 3,500 miles across the Atlantic! In 2012, during simulated battles with the United States Navy's latest Virginia-class submarine USS New Mexico, it was reported that the Americans were "taken aback" by Astute's capabilities. Royal Navy Commander Ian Breckenridge was quoted saying: “Our sonar is fantastic and I have never before experienced holding a submarine at the range we were holding USS New Mexico. The Americans were utterly taken aback, blown away with what they were seeing.” Swiftsure and Trafalgar Update manager, Captain Ian Hughes said, "A good analogy for the performance of Sonar 2076 is that if the submarine was in Winchester it would be able to track a double decker bus going round Trafalgar Square" (a distance of about 60 miles). The boats are being constructed by BAE Systems Maritime – Submarines at Barrow-in-Furness. Two boats have been commissioned, the third one was launched recently while four more are under construction. See more here. The Osman Gazi class landing ships consists of only one vessel in service, the Osman Gazi, which is the newest and largest active landing ship of the Turkish Navy (Turkish: Türk Donanması) at the moment (2014). It is worth mentioning that the design is completely indigenous. The second ship in the class, thee NL126 Orhan Gazi, was cancelled. 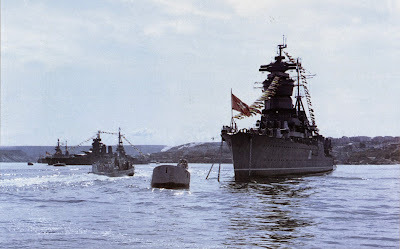 The pennant number is NL-125; NL due to the two roles that the ships has, N stands for minelayer while L for landing ship. The Osman Gazi was launched in 1990 at the Taşkızak Naval Shipyard and it was commissioned in 1994. The ship followed an extensive modernization in the period 2010-2011 in Alaybey Shipyard, İzmir. The general characteristics of the ship, is a full displacement of about 3,775tons, a length of 105m, speed of 17 knots while the range is 4,000n.m. with the cruising speed of 15 knots. 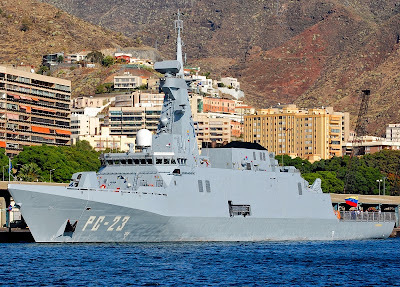 PC23 Yekuana, third of the Guaiqueri class patrol vessels. 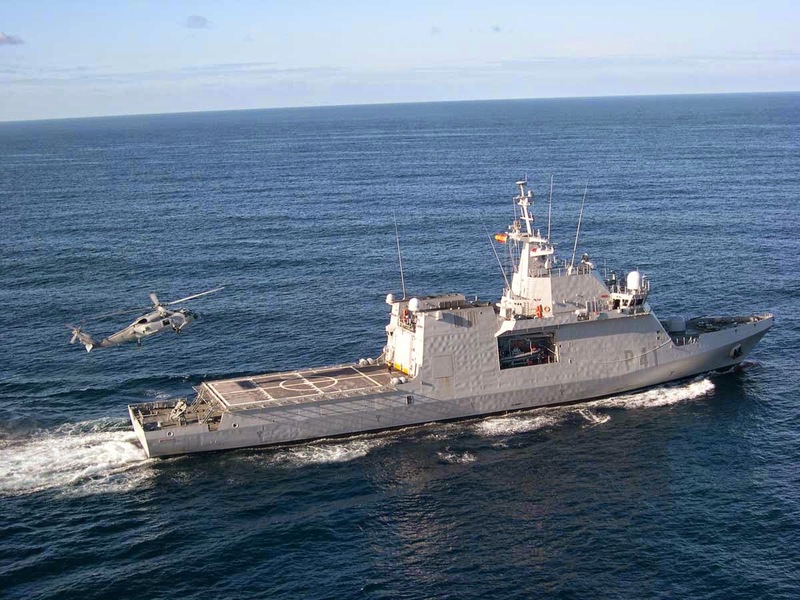 The Guaiqueri class of Venezuelan Navy (Bolivarian Armada of Venezuela), is a class of four modern offshore/ocean patrol vessels featuring stealth technology with reduced radar and infrared signatures and special design to minimize the propulsion system's noise emissions and vibrations. The designation is Avante 2200 and sometimes thy are namedas POVZEE from the Spanish Patrullero Oceánico de Vigilancia de la Zona Económica Exclusiva. The vessels were built in Navantia shipyard in Cadiz city of Puerto Real, the period 2008-2010. 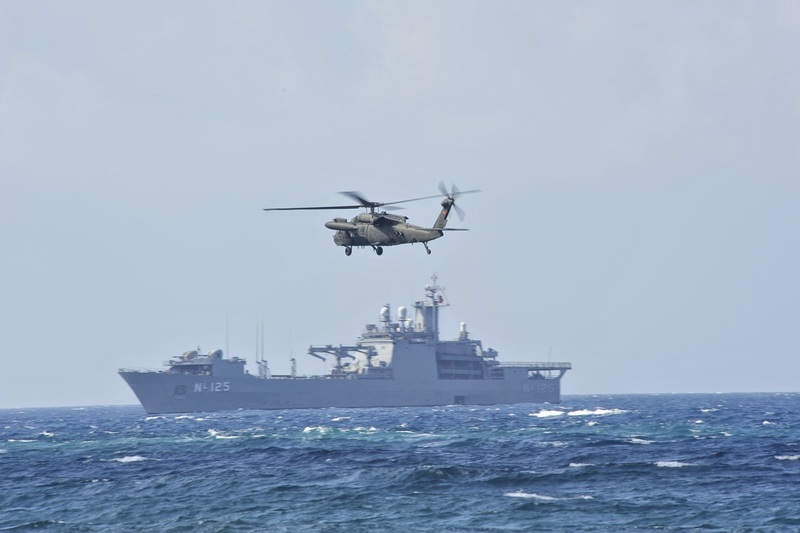 The vessels' mission is monitoring and protection of the Exclusive Economic Zone (EEZ) to ensure national sovereignty and territorial integrity, protection of maritime traffic, defense of strategic interests, search and rescue, relief and other humanitarian units, detection of smuggling, drug trafficking and illegal immigration and monitoring and data collection of operational and environmental intelligence.